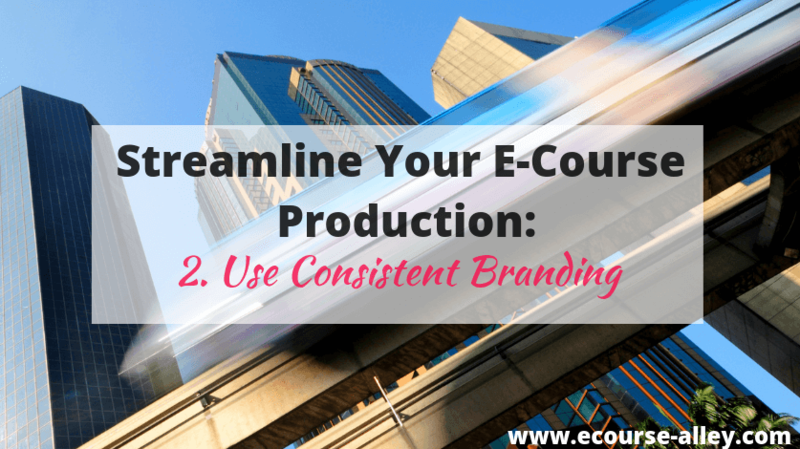 This second post, in the “Streamline Your E-Course Production” series, is how to streamline your e-course production using consistent branding. Imagine you have the content all ready for your next e-course, and you are about to create the final version from your storyboard. However, you realize that you haven’t given your course design much thought. So far, you have been creating courses that don’t resemble each other in terms of their design. The truth is, you haven’t felt like you should spend time thinking about this aspect of selling online courses. I mean, your content is amazing! Course design should take a back seat – right?? However, you realize that it has also been costing you a lot of time trying to figure out your course design on the spot, including colors, fonts, slide layout, and so on. You then have an epiphany! Why not use the same design for all your online courses? You could establish a consistent “look and feel” or consistent branding to help speed up your e-course production! This is what we will explore today. So, what exactly is branding? Branding is how you make your business known, how you make yourself memorable, and how to be clear about what you are offering your customers in order to standout above the competition. Check out this blog post to learn some tips for branding your online courses. The main reason for developing consistent branding for your e-courses is to help streamline your production. This way you can create courses much faster. 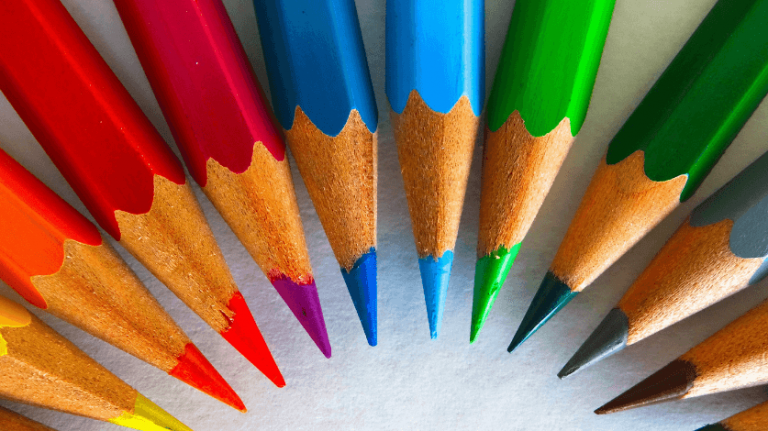 Make sure to establish 2 or 3 main colors for your brand, but not too many. If you establish the main colors you will use for fonts, titles, background, etc., you won’t have to think about this every time you create an online course. This then helps to increase the efficiency of your e-course production. Make sure to determine fonts and font sizes before you produce your final product. Think about what fonts you will use for slide titles and body text, and how you will emphasize font to make it stand out. This again contributes to consistent branding, and in turn streamlines your e-course production. Make sure to establish your e-course design ahead of time. This could include your slide layout, if you are doing mainly PowerPoint video lectures. Or, it could refer to how you produce videos of yourself on camera. Do you have text that appears on screen as you describe concepts? 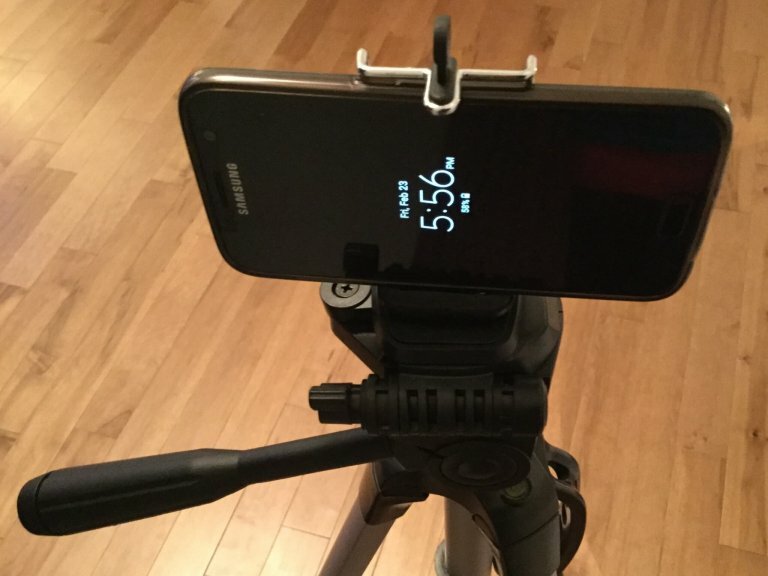 Do you always film your videos a certain way – what is the look and feel? If you use introduction/exit music and graphics or lower thirds video animations, for example, make sure to use these consistently for every e-course you create. In other words, use the same introduction and ending sequences for each video lecture. This will save time, especially if templates are already created. So, be sure to either make a template to re-use over and over, or copy and paste an existing introduction or ending sequence. In addition to this, make sure to start off each e-course with a description of what learners will be able to accomplish by the end of your course. This is also another design element that you will want to keep consistent across all your courses. Lastly, there is one more reason why branding is very important. Consistent branding helps your audience know that a course was created by YOU. It helps establish your Brand Identity. Your audience will recognize your “look and feel” and know which company created the e-course they are thinking about purchasing. 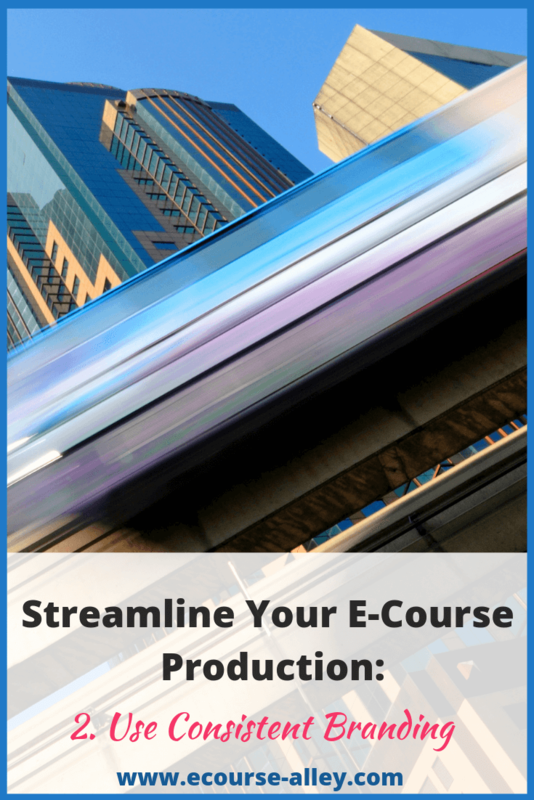 Overall, it can greatly improve the efficiency of your work and help to streamline your e-course production. Consistent branding is like an “instant marker” for your business. BUT HOW DO I CHOOSE MY BRAND IDENTITY? I get it, you want to establish consistent branding standards to follow, but you aren’t sure how to go about it. Well, sometimes you just have to go with your gut instincts when choosing fonts, colors, layouts, etc. Who is your audience? Knowing your audience can greatly affect the colors you choose and the approach you take to design your e-courses. If your audience consists of students who want to learn how to improve their résumé so they can get into a fantastic college, then you might want to develop your color scheme to reflect a young, ambitious demographic. If your audience is composed of adventure-seekers, then you may want to choose a vibrant color scheme to convey excitement and energy. Color theory can help you make decisions. Knowing the emotions and symbolism that certain colors portray can help you decide what is best for your business. For instance, if your business is all about wellness and nutrition, then choosing greens and other earth tones may be best. If your courses focus on travel and adventure then going for orange shades would work well. Here is a resource that goes into more depth about color theory. Focus on adult learning principles. By focusing on how adults learn best it may help you make some design decisions for your e-courses. Adult learning principles include self-directed learning, working towards a goal, acknowledging learner experiences, matching learners’ styles and creating an engaging, active learning experience. Keep these in mind when you are creating your branding standards so that you can meet the needs of your learners. Keep it simple. It may be too confusing if you have too many colors or fonts. So, make sure to keep your design simple and easy to grasp. Look at examples. It doesn’t hurt to get some ideas from other brands in your niche to see what types of branding tactics they use. Just make sure you aren’t copying what they are doing and only using it for inspiration! HOW DO I KEEP TRACK OF MY BRANDING STANDARDS? To keep track of the branding standards you are developing, document them. As you start to develop your brand identity, record what you will standardize, in what I like to call, an e-course Design Document. This not only helps keep you on track with your e-course design, but it could be used later as you grow your e-course business to communicate your ‘look and feel’ to others on your team. Take a look at What’s Inside Our FREE Resource Library to learn more about the resources we provide, including Writing and Design Document examples and templates. 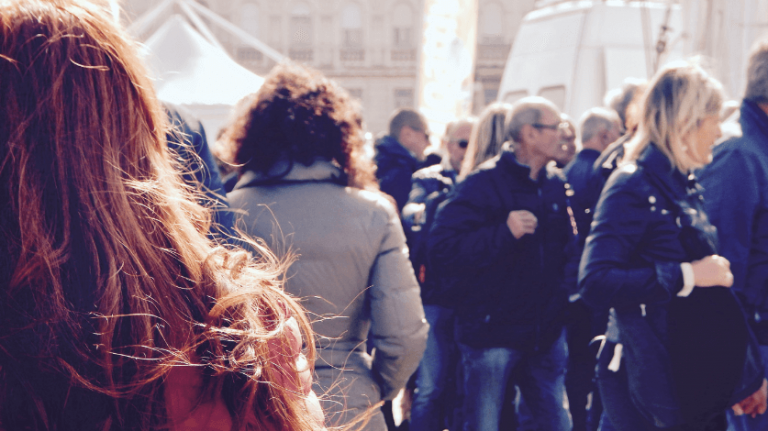 WHEN SHOULD I ESTABLISH MY BRANDING? Ideally, you’d want to establish consistent branding standards at the beginning – before you create your first e-course. However, I know it is hard sometimes to think about everything upfront when you are trying to create an info-product. So, if you have already started building your online course or have one or two completed already without having thought about branding, don’t worry! Just move forward and start creating your branding standards now. 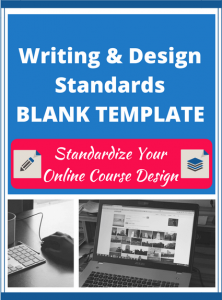 Use consistent branding standards to help you create e-courses faster. Consistent branding helps your audience know that a course was created by YOU. It helps establish your Brand Identity. Make sure to standardize colors, fonts, slide layout, video design, introductions and endings. To help you make decisions about your brand identity, consider who your audience is, research color theory, focus on adult learning principles, keep it simple and look at examples. 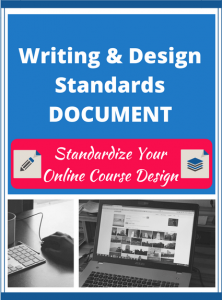 Keep track of all your branding standards by recording them in an e-course Design Document. Make sure to establish your branding early on in your e-course production journey. Leave a comment and let me know if you have any questions about our second step to help you streamline your e-course production.